ryan's mom has been in north carolina since memorial day taking care of her two grandsons. 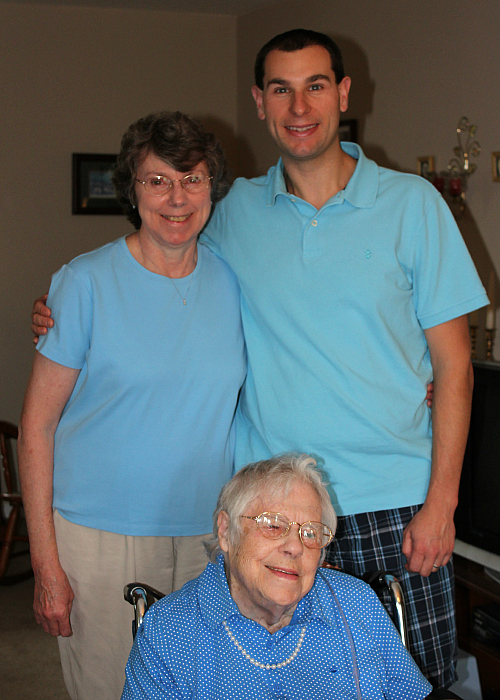 we have missed her all summer, and we are thrilled that she came back home to pennsylvania this weekend! 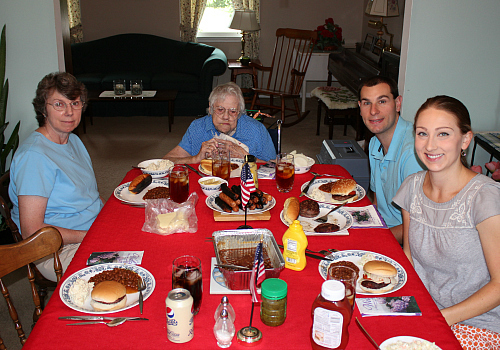 yesterday, we went down to ryan's parents' house to welcome ryan's mom back home and to celebrate labor day. it was so good to see her after so many months. 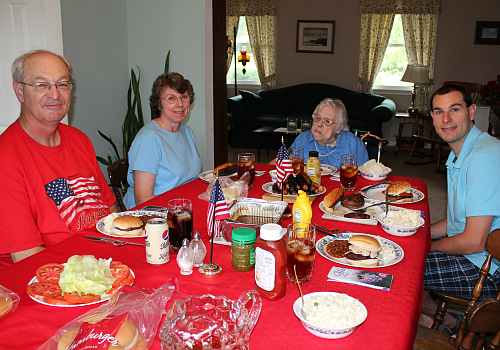 we had a labor day picnic lunch with hot dogs, hamburgers, baked beans, potato salad, and coleslaw. for dessert, ryan and i made a rhubarb macaroon pie (which is one of ryan's favorite recipes that his grandmother used to make when he was younger). i can't believe that summer is over and it's september! even though i'm sad to see summer go, i am looking forward to all of the wonderful things that fall has to offer: colorful leaves, apples, cider, pumpkins, corn mazes, and clean crisp air. It is good to see you siting at your dining room table again. Sorry we miss the picnic. 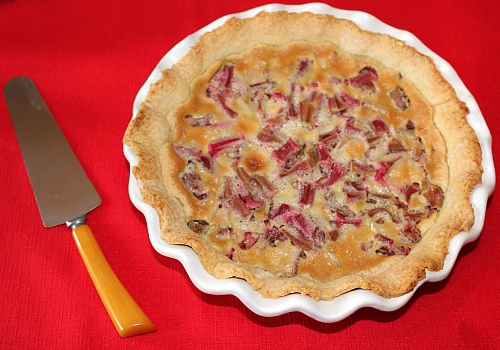 I love rhubarb pie, that looks like a tasty one. It was great to be back home and even greater to see you and Ryan! It is sad that summer is over and that I missed it!